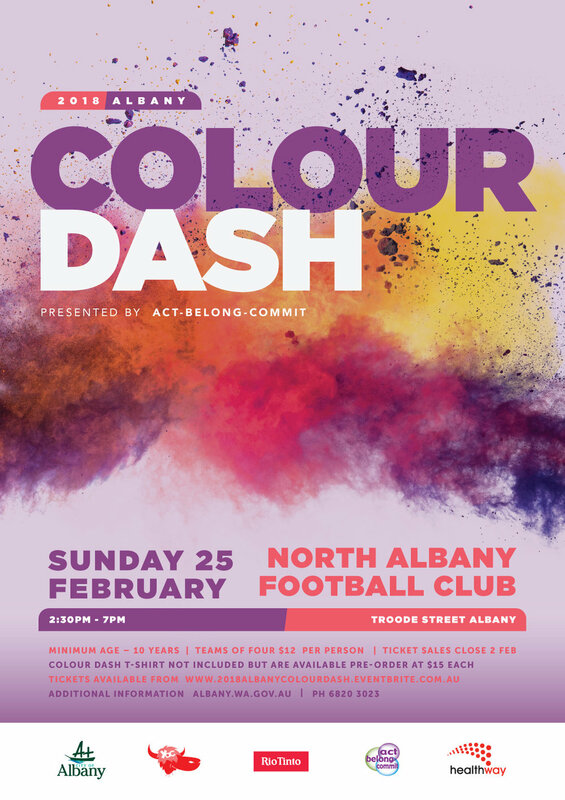 The Albany Colour Dash is an awesome way to celebrate the end of the summer! Grab a bunch of mates and tackle the obstacle course and see who is the most 'colourful' at the end of the track! Challenge yourself to complete the obstacle course and be covered in as much colour as possible. Building on last year's event, this event promises to be bigger and better! More obstacles, greater distance, DJ, amusements, lots of food vendors and much more!